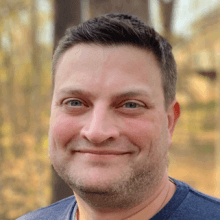 A veteran of the web publishing and sports media industries, Jeff draws on his extensive project management, business analysis, and site building experience to lead professional services and client delivery at Mediacurrent. An active member of the Drupal community, Jeff organizes events for his local Louisiana Drupal Users Group and Drupalcamp New Orleans. Jeff joined Mediacurrent in 2010 after 11 years with Turner Broadcasting Systems in Atlanta, GA. In his previous position as Director of Operations at Turner Sports New Media, his team managed technical operations for NASCAR.COM and initiated Turner’s adoption of Drupal. Jeff’s other roles at Turner included Director of Editorial Operations, Project Manager and Producer at CNN/Sports Illustrated Interactive. Prior to joining Turner, he served as Website Manager for Major League Soccer in New York, and was responsible for the league site's design, maintenance and content publishing. Jeff lives in Baton Rouge, Louisiana with his wife and daughter. On nice-weather days he can be found working from a table in his backyard with his yellow lab, Murray.